WILMINGTON, Del., Dec. 11, 2017 /PRNewswire/ -- GoLookUp, a deep analysis data information portal offering Background Checks, Reverse Phone Lookups, Arrest Records, Criminal Records, Public Records, People Search Information, and other services, has announced its Unclaimed Money Data Base Update. State and Federal agencies are holding more than $60 Billion in Unclaimed Money and other related benefits. That is roughly $200 per U.S resident. There are incidents where U.S residents are collecting as much as $1 million in unclaimed cash. There is over $350 million in pensions which are owed to over 40,000 people. Unclaimed money is ranging from a few cents to about $1 million. By state laws, corporations, companies and financial institutions are required to report and turn over money, assets, or funds that are considered disregarded by their rightful owners. States are often trying to find the Unclaimed Money owners via their websites, but in most cases fail to do so. 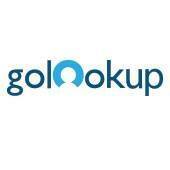 GoLookUp has recently updated its Background Checks and People Search database and added Unclaimed Money and Assets. GoLookUp helps users find Unclaimed Money that may belong to them among other services. Information and data is updated in real-time and customer service is available seven days a week, 24 hours a day.